I really just need somewhere to share random web-pages happened upon through Stumbleupon, emailed links from friends, and the end results of my meandering through the web. To that end, I have added a new category: Random & Interesting, which is exactly what entries into it tend to be. Without further ado, onto the first set of Random & Interesting. For quite a while now I've been wondering about the future of print material: it seems quite likely that most newspapers and magazines won't be around for two much longer, but I'm really more concerned with books, and found a great post about "Why E-books will not replace paper-bound books (at least anytime soon)" Along the same lines, I dug up a Globe & Mail article: A lament for the bookshelf, which is both well-written and entertaining. 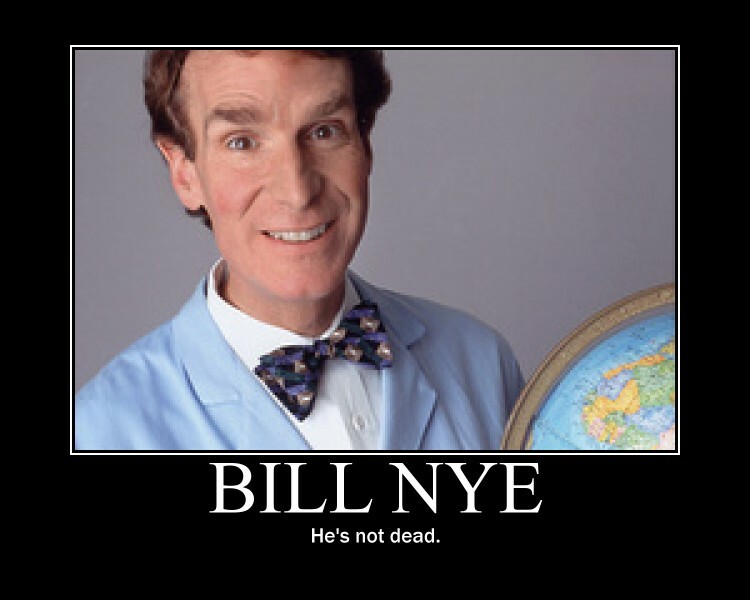 Bill NyeMaybe it's just in Canada that everyone's always so worried about his immenent destruction? Post away. Phillip Reeve, Flickr, LEGO I doubt that you've ever heard of him, but Phillip Reeve (Wikipedia on him; his blog) is one of my favorite authors. I've never been a huge fan of steampunk, but I've always loved post-apocalyptic novels, huge machines, and weird technology, and his Mortal Engines series includes all of it. Obama & Great Lakes I would like to take the opportunity to congratulate President Obama. The Great Lakes contain approximately 22% of the world's fresh water, a provide most of the drinking water for the area around it, and yet we have, and continue, to pollute it. Many supporters of Conventional Wisdom extol the supposed health benefits of consuming flax seeds. Recently, there has been some concern, but I'm still of the camp that says moderation is the best policy. Using a coffee grinder to grind the flax seeds into meal works quite well, and if you are looking to produce a very light, fluffy, muffin, then I suggest adding a bit of extra baking powder.